Arielle Adler's Marketing Blog: Marketing ROI – Feasible to Measure? When reading this article about measuring marketing expenses versus its outcome and (hopefully) profits, you will quickly understand that ROI is not the best way to measure marketing performance. You will also need to accept that questions such as "was my marketing campaign worth the investment?" 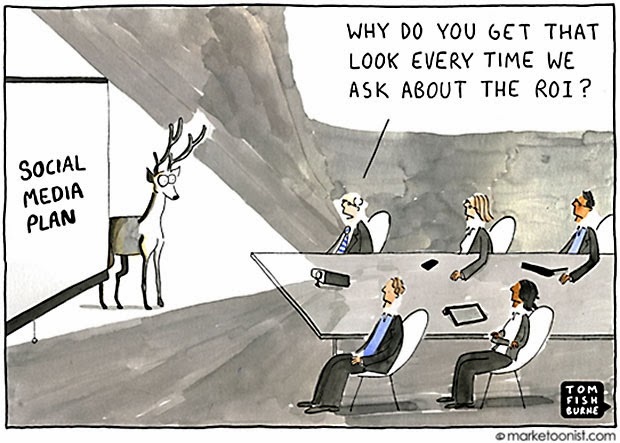 and "can I measure and verify profit from a marketing campaign?" might remain unanswered. * Are you able to accurately measure the cost of marketing your product and through which marketing campaign your customer buys your product. In order to know if you can validate the success of your campaign, let me give you some basic information about ROI and how it works. Return on Investment is a financial term and has an authentic financial formula: Income Earned - Expenses / Expenses. This simple formula is tricky to apply since there are many components involved. Defining revenue made from marketing efforts requires the correct usage of Customer Relationship Management (CRM). Through CRM, marketing methods which resulted in a sale, as well as the revenue made from it, can be tracked. Coupon redemptions. One of Isracard's marketing campaigns encouraged buyers to spend above a certain amount at Ikea. Receiving the redemption coupon required the downloading of a coupon code through Isracard's App. This is a classic example of being able to calculate the investment versus revenue made as the expense of the campaign (television commercial, newspaper ad) is deducted from the income earned (how many products did Ikea sell and at what price) and divided through its overall expenses. Measuring Online marketing campaigns is not an easy task. When launching a campaign on Social Media Groups, it makes expenses much more difficult to measure. A commonly forgotten expense but a very high one is time. Many times overlooked, dealing with the Social Media is very time consuming. If you use Online advertising and your goal for example is to drive more traffic to your website than Google Analytics can provide you answers. If this is not your goal, than calculating if the campaign was worth it, becomes almost an impossible task. Offline marketing campaigns are probably the most difficult to measure as it requires surveying and statistical sampling in order to accurately evaluate why your customer bought your product. Having given these samples, another issue when calculation ROI is the expected life-cycle of your product (seasonal versus product running for several years) and how much time you expect it will take to make a sale. Sometimes, it can take months or even years for a product to be developed, marketed and even sold. Trying to calculating this in your ROI is an impossible task! Trying to calculate your Marketing ROI is important but very difficult. It requires great precision and precise tracking methods in order to capture even moderately good quality data.